Painting for as long as she can remember, Gail sold her first wildlife painting when she was 14 years old. She and her husband, Rick (active duty with the U. S. Coast Guard) and their son, Nate, have lived on both coasts and in various places in between. With every tour, Gail found another opportunity to learn new things. While stationed in the Pacific Northwest, Gail painted full time on driftwood and was very successful, barely able to keep up with the commissions for her paintings. Another opportunity presented itself, when they moved to Maryland where she learned the art of needlepoint canvas painting from Hollis Minor. 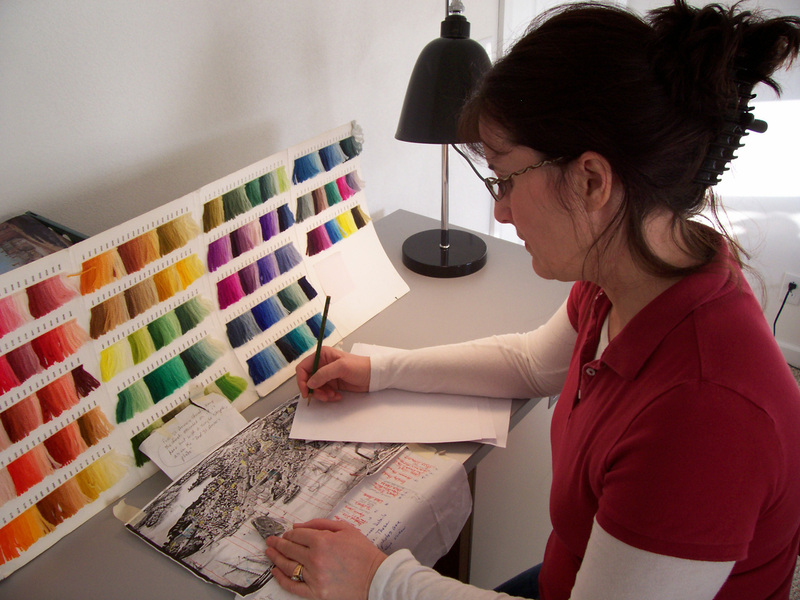 Hollis is the former owner of ‘It’s Polite to Point’, a worldwide needlepoint design and production company. 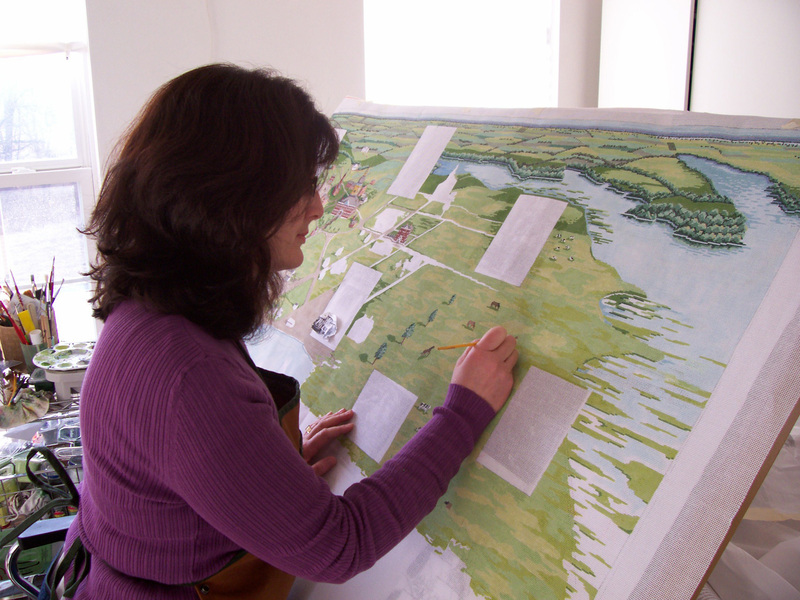 As Technical Advisor for the Annapolis Tapestries Project, Hollis knew immediately that Gail was the person to draw and paint the 3 large and thirty-six small tapestry canvases. Gail has developed quite a portfolio – touting work for some of the world’s most famous museums (e.g. Winterthur Museum in Wilmington, Museum of Fine Arts, Boston) and even designing for a Sheik of Kuwait and the Kuwait Museum. To date, Gail has completed hand painted canvases for the 18th and 19th century large panels and all of the small tapestry canvases for the 18th century. She is has completed the painted canvases for several of the smaller 19th century panels. 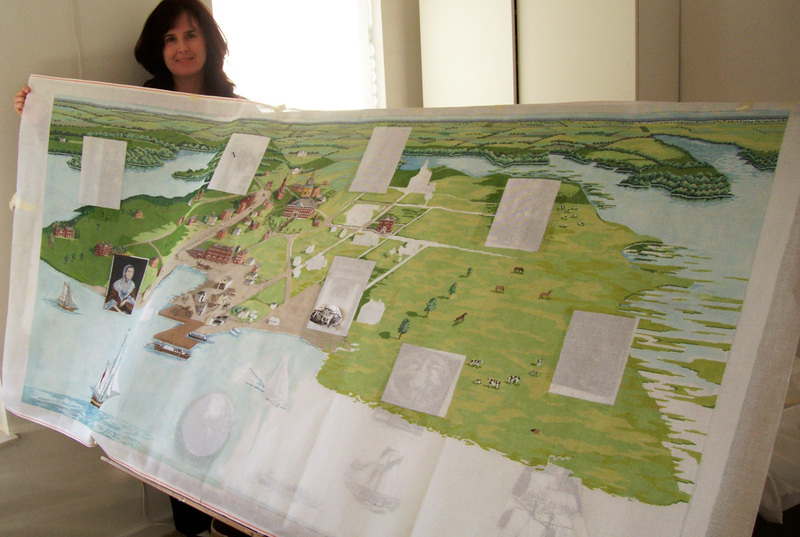 Annapolis Tapestries: In The News! September Make History Event: For the Family! At the Museum: This Week! © Annapolis Tapestries and annapollistapestries.wordpress.com. 2011 Unauthorized use and/or duplication of this material without express and written permission from this blog’s author and/or owner is strictly prohibited. Excerpts and links may be used, provided that full and clear credit is given to [Your Name] and [Your Blog Name] with appropriate and specific direction to the original content.